As a cosmetic dentist in Lewis Center, Dr. Amy Gavin is putting dental stereotypes to rest. It’s all about YOU from start to finish. Is fear of the dentist holding you back from seeing a dentist in Lewis Center? Let’s chat about it and we’ll work with you to create a treatment plan you’re comfortable with. We even offer amenities, such as noise-canceling headphones, warm scented towels, and much more. We’ll work with you to accommodate your needs – even financial barriers. We offer multiple payment options, including an in-house savings plan and CareCredit (a medical credit card). In the end, we want to do everything possible to give you access to high-quality dental care. Life is busy. That’s why we offer multiple conveniences to help you receive quality dental care without interfering with life’s hectic moments. This includes early morning, evening, and Friday appointment times and using digital technologies for faster and predictable results. Sit back and relax. Our cosmetic dentist in Lewis Center will take great care of you. We love kids: We welcome kiddos of all ages to our dental office. With morning and evening appointments available, ask us how we can schedule the whole family at once. Under one roof: Dr. Gavin is trained to perform complex treatments, including placing and restoring dental implants. You’ll see the same familiar face from start to finish. Modern technology: We do dentistry differently by using high-tech technologies. We have digital technologies, such as digital x-rays, intraoral cameras, and a digital smile preview. Building relationships: You’re more than a patient; you’re a part of our dental family. You’ll experience honesty and integrity at our practice, letting you take charge of your oral health. Preview your smile: Want a brand new smile, but unsure what you need? Dr. Amy Gavin can create a mockup of your new smile before you commit to cosmetic dentistry. 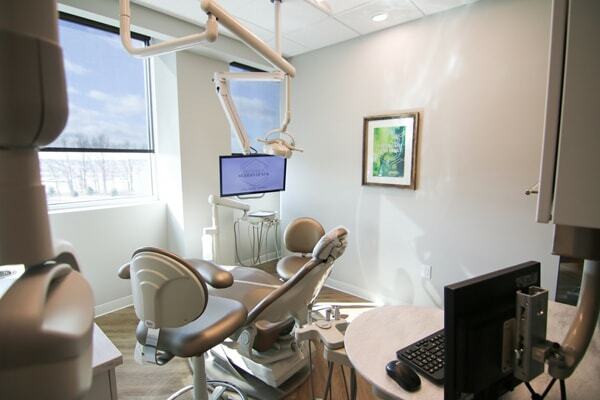 Bringing state-of-the-art technology and 5-star service to Olentangy and Lewis Center. Our dental office is packed with the latest technologies to make dentistry more comfortable and faster. 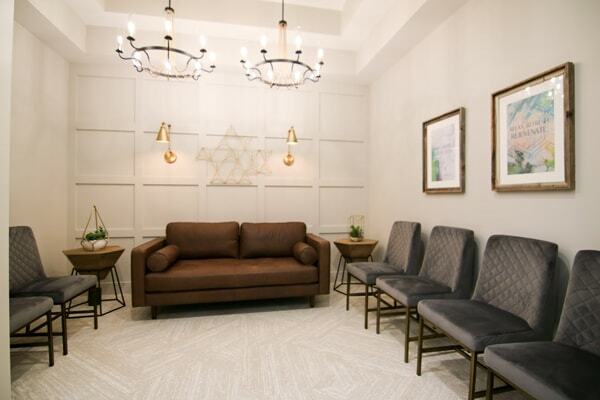 Think of Olentangy Modern Dental as your second home where you can relax and hang out with friends. Ready To Experience Dentistry a Little Bit Differently? Schedule an appointment with our cosmetic dentist in Lewis Center, OH!